Thanks for the info, we will be in touch soon. Our artificial intelligence engine searches for patterns and insights to improve your business performance. 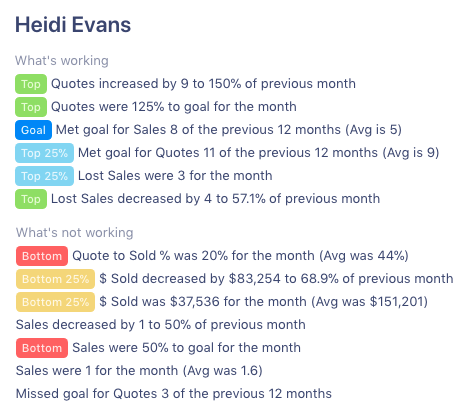 Skip the endless dashboards. 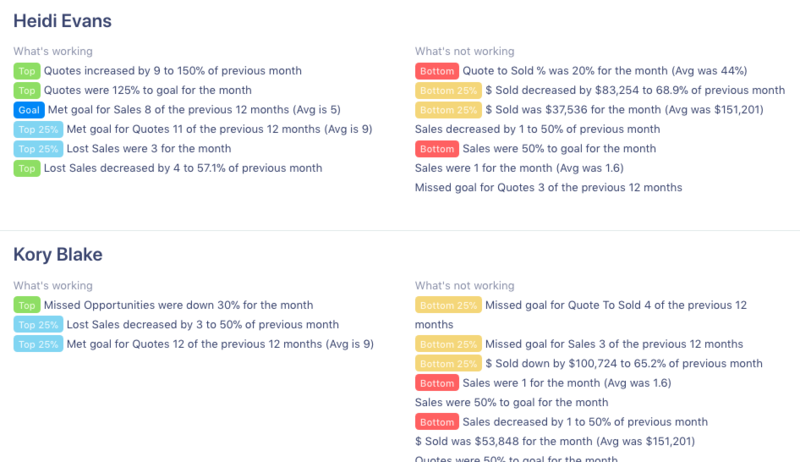 Our algorithms find problems and optimizations for you rather than endless dashboards you have to decipher daily. Everything you need in one place. 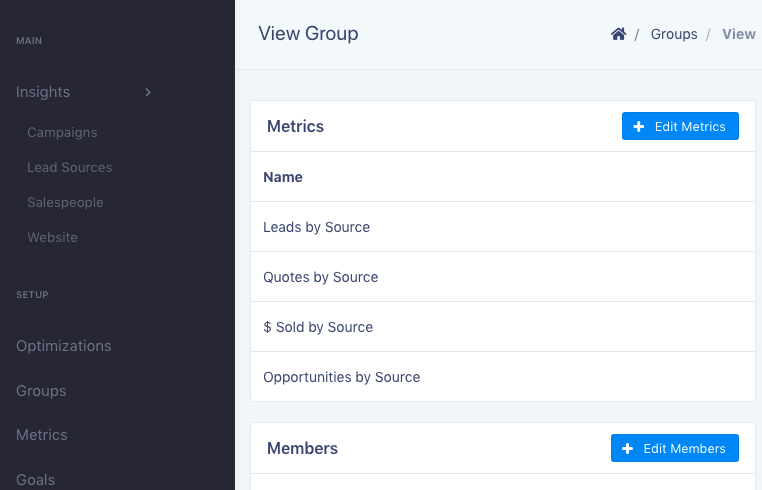 Track salespeople, calls, marketing campaigns, lead sources, NPS, custom entities, and more! Don't wait until it is too late to solve a problem, be alerted as soon as you are trending down or not pacing to hit a goal. Our algorithms will pull out interesting time based and group comparisons. Use these alerts to determine where to spend your time optimizing business results. Get alerted early so you still have time to react. Set goals and a time frame (e.g., this month) and be alerted when you aren't pacing to hit those goals. You don't need a complex BI solution or expensive months' long implementations. Easily connect our services to your data and configure optimizations using our easy-to-use interface. Create optimization checks for anything in your system using a simple configuration interface. Then our algorithms do all the hard work looking through your data in realtime. It is super easy to set up and can be managed by anyone on your team, no need for a developer or to hire a consultant.